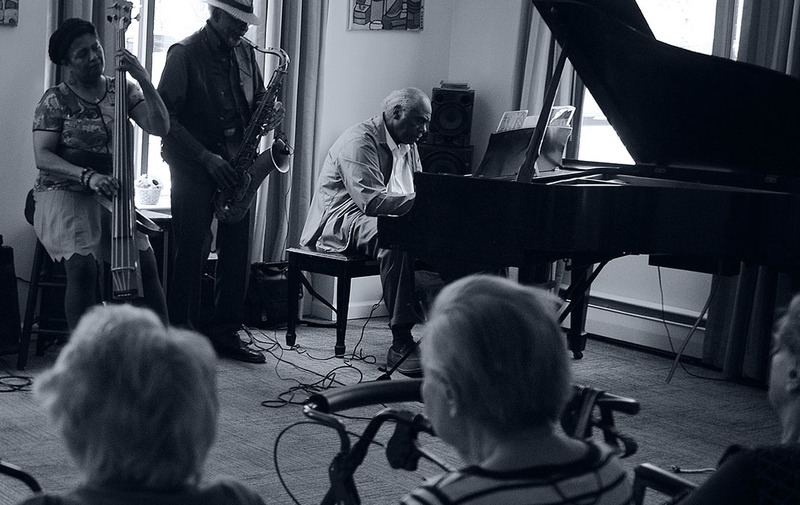 We bring world-class music at no cost to elder care facilities across the U.S.
Jazz and Blues in Nursing Homes brings world-class musicians to audiences in elder-care and assisted-living facilities across the U.S., including Alzheimer’s and dementia patients. Everyday, we see people getting up out of their seats, dancing in their wheelchairs, and singing along with their favorite songs at these joyful performances. Your support provides fees for performances and allows us to produce more concerts at elder-care and assisted-living facilities. 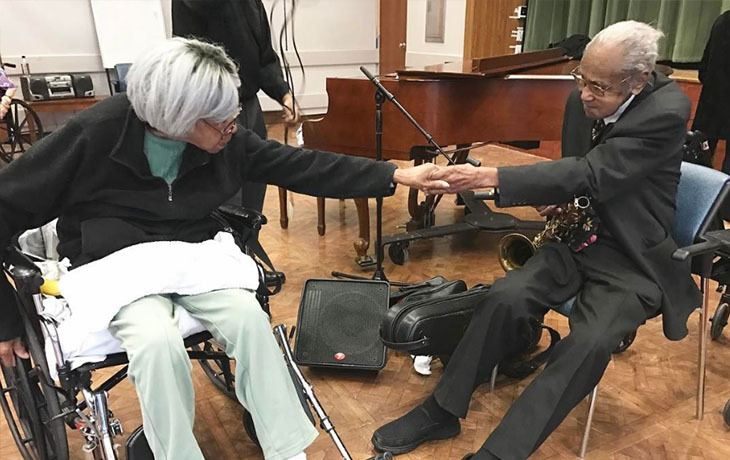 These musicians bring joy to people who sit alone for hours a day. 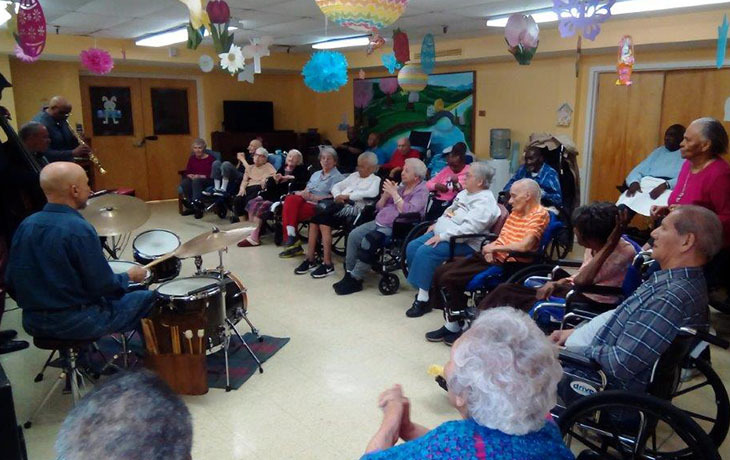 If you would like to host a concert or help bring Jazz & Blues to more elder care audiences, we are accepting partnership inquiries from facilities, nonprofits, and other agencies across the United States.